A tropical jungle lodge surrounded by rainforest and water channels, access is only by boat or air. Mawamba lodge is open year round. 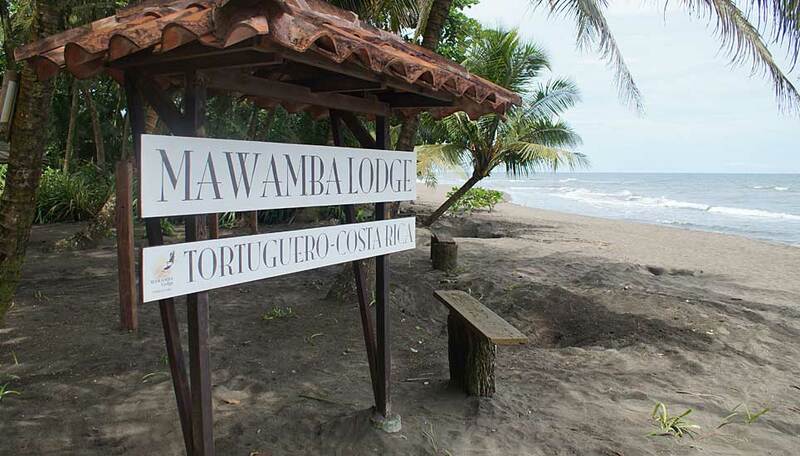 Nestled between the Tortuguero Canals and the Caribbean Ocean, and surrounded by lush, verdant rainforest, Mawamba is the essence of Caribbean beauty and hospitality. 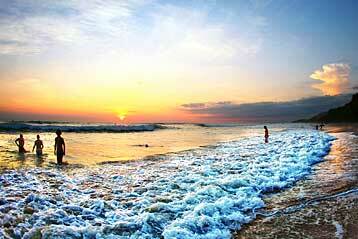 The only access to the hotel is by boat or by air which gives it a remote, out-of-the-way feel. The 54 standard rooms are spread along the property gardens, accessed by winding pathways. The rooms are simple and comfortable with cane furniture, a ceiling fan and splashes of colourful photography adorn the wood-panelled walls. There are also 4 superior rooms offering a more private experience, in spacious rooms with a king size bed. The large bathroom has both a hot tub and shower. 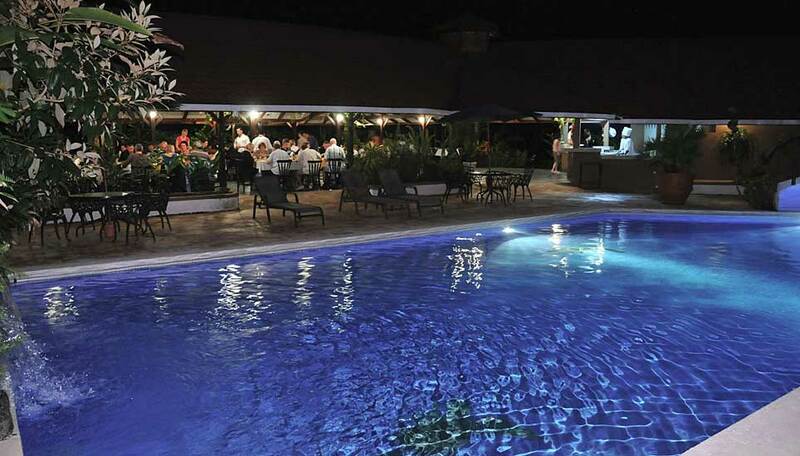 The pool, bar and restaurant area is surrounded by unique vegetation and the chants of the red eyed tree frogs serenade you through dinner. Costa Rican and international meals are served buffet style in the restaurant. Why go to Mawamba lodge ? 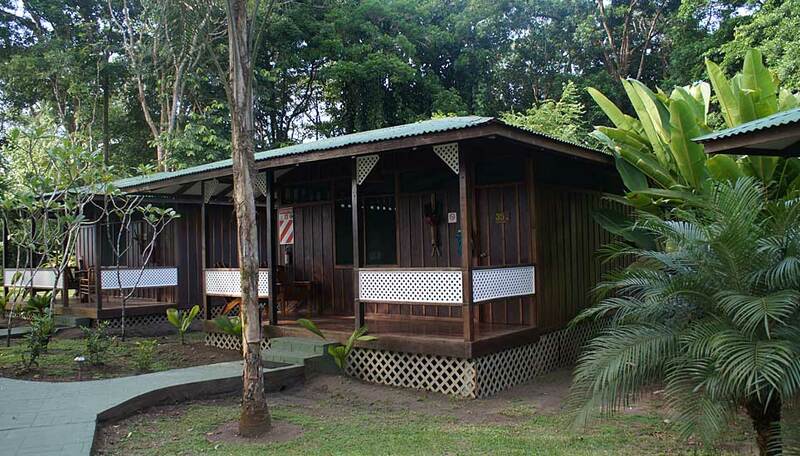 Tortuguero is a place for people of all ages. You can immerse yourself into the unique rainforest environment and seek out the local fauna while enjoying the adventure of exploring by boat. 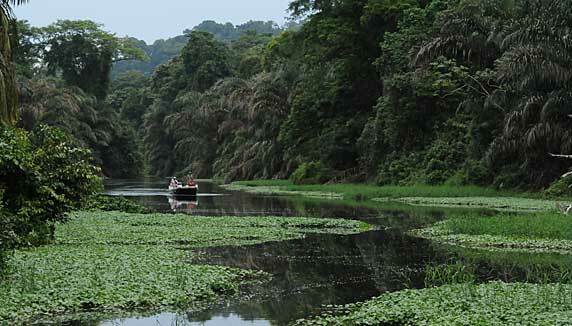 The waterways are surrounded by jungle which is home to a wonderful array of flora and fauna. Discover the area by boat tour, or kayak tour. Night walks are an opportunity to discover the different sounds of the rainforest as the nocturnal species come to life. The beach in front of the Lodge provides refreshing ocean breezes and the opportunity for a quiet stroll along the beach that may lead to sighting the rush of the turtle hatchlings on their way to the ocean (September to November). Or you could relax in one of the many hammocks strategically positioned in the grounds. One unique tour that is available here is on board the Katonga floating restaurant provides a different setting for dining while cruising around the Tortuguero Canals. The wildlife of Tortuguero is astonishing. More than 350 bird species have been recorded and these live alongside impressive flora and fauna in the national park. The on-site “Mawamba Park” boasts a wonderful collection of frogs, butterflies and iguanas, that can be seen up close. Some species found here include the red-eyed tree frog, the “blue jeans frog”, morpho butterflies and much more. Wake up to the deep howls of the aptly named howler monkey, see the spider and white-faced capuchin monkeys swinging through the canopy. The green macaws also provide the soundtrack in the surrounding forest, and there are plenty toucans around too. The adorable, laid back sloths are a common sight, even on the property and there are plenty of crocodiles, caimans and lizards in the surrounding waters. Tortuguero is the place we associate with turtles and at certain times of the year the green turtle comes to nest on the beaches. Loggerhead, hawksbill and leatherback turtles also use the beaches of Tortuguero to lay their eggs, these are not as common as the green turtles so they are very well protected to ensure their survival. Each room has comfortable cane furniture, ceiling fan, private bathroom with hot water and a veranda with seating looking out to the gardens. The rooms at Mawamba are simple and comfortable. The 58 standard rooms have either a king size bed or a queen size and a single bed, suitable for families or couples. 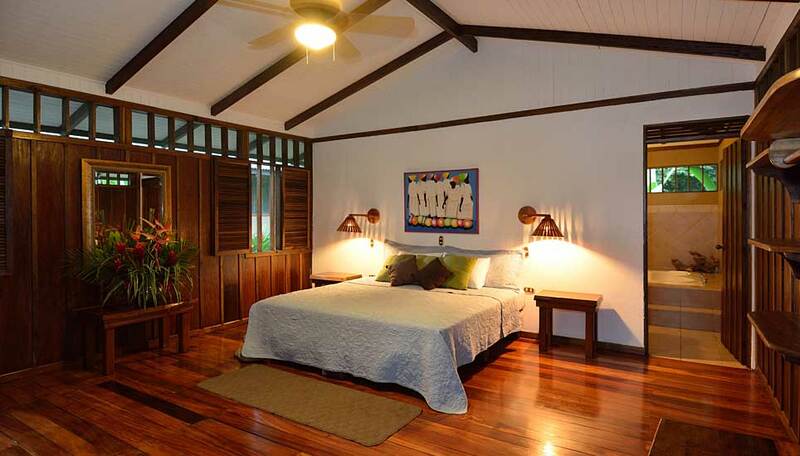 The rooms are spacious and furnished with cane furniture. There are wooden floors and wood-panelled walls, adorned with colourful pictures. The bathroom has hot running water and a shower. Each room has a veranda with a seating area looking out onto the gardens. There are also 4 deluxe rooms which are larger in size and the bathrooms have a bath in addition to the shower. They also have a seating area indoors as well as on the veranda. Children under 5 are free of charge. Children 5-11 receive a 50% discount when sharing with 2 adults. There is free WiFi in the public areas of the lodge. The rooms do not have WiFi access.